This is the first post of a five-part series telling the story of India’s Sri Lankan adventure. You can also read other parts of the series here: Part 2, Part 2.5, Part 3. This is for Shivangi Singh who asked me to explain the whole IPKF story. The plane was late. The Sri Lankan president JR Jayewardene had been anxiously awaiting its arrival for hours, but to no avail. 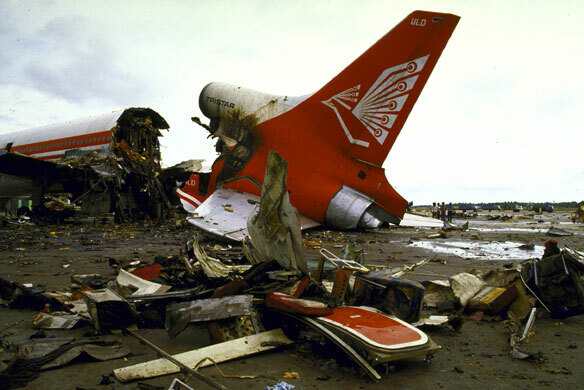 It was a delay that the president couldn’t afford, for the plane carried the dead bodies of thirteen soldiers who had been ambushed and killed by the Tamil insurgent group LTTE the day before. Earlier in the day, the president had overruled his advisers and decided to have their funeral in Colombo. Now it was proving to be a fatal mistake. Every minute that the plane was late, the crowd outside the cemetery swelled even further, demanding retribution against the Tamils. By the time the plane arrived, the restive mob had grown to 10,000. The police, concerned about law and order situation, decided to use its riot squad to break up the crowd. 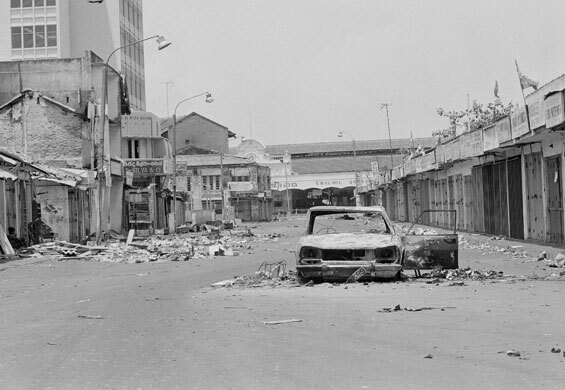 Instead it brought the situation to a boiling point, and almost instantly ethnic riots engulfed Colombo. Within a day, the riots spread across the country. For the next seven days, Tamils were targeted, looted, killed by hordes of angry Sinhalese. By the end of what became known as Black July, more than 100,000 Tamils had been made homeless, most of them fleeing to refugee camps in India. Within days of Black July, ranks of Tamil separatist groups like LTTE began to grow. What were until now basically just terrorist groups, started to build armies of their own. In the following months and years, these groups unleashed the level of violence unprecedented in the entire South Asia. The Sri Lankan Civil War had begun. Since independence Sri Lanka had been politically dominated by ethnic majority of Buddhist Sinhalese who constituted close to 75% of the country’s population. Although a democracy, Sri Lankan government followed a “Sinhala only” policy which gave Sinhalese advantage over the minority Hindu Tamil population most of which lived in northern and eastern parts of the island. In response, dozens of Tamil separatist militant groups had emerged by the late 1970s. Largely relying on brutal terrorist attacks, these groups began to demand autonomy or independence for the Tamil regions of the country. India became involved with the Sri Lankan conflict after Indira Gandhi was returned to power in the 1980 elections. There were two reasons for India to get involved. First was the Tamil factor. MG Ramachandran (MGR), the Chief Minister of Tamil Nadu, was sympathetic to the Tamil cause in Sri Lankan and an important supporter of Mrs. Gandhi’s government. Since 1977, MGR had been trying to pressure New Delhi into supporting the militant Tamils. Additionally, the Tamil Nadu police had also been providing small-scale support to the militants on their own. Secondly, India had been getting increasingly concerned about the support Sri Lankan government had been taking from other countries like the US, Israel and Pakistan to curb the insurgency. Penetration of any of these countries into what India essentially considered its own backyard would have made it vulnerable. Specifically Indians believed that Washington had promised to provide aid to Sri Lankans in exchange for setting up a listening post in the country, through which it could listen to Indian naval movements. Because of these two reasons, Mrs. Gandhi decided to ratchet up pressure on Colombo government by providing training, equipment and finance to the Tamil separatists. At this point there were 38 insurgent groups operational in Sri Lanka, and India was providing support to all of them. Indian intelligence set up training camps in New Delhi and Tamil Nadu, contracting retired Indian army officers as trainers. Most militant groups including LTTE opened their headquarters in Madras, from where they planned and carried out terrorist attacks into Sri Lanka. Instead of humbling Sri Lankan government, Indian sponsorship of these groups ended up increasing anti-India feeling in Colombo. President Jayewardene began to expand his army and grow closer to Pakistan and the United States. Moreover, Indian support to the militant Tamils ensured that moderate Tamils were pushed aside, making a compromise all the more difficult. In effect, Indian position at this point was doing more harm than good. 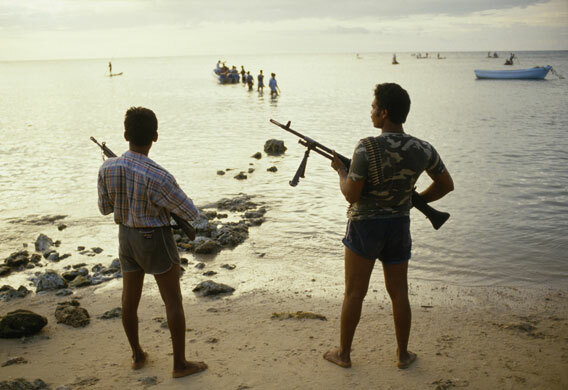 Black July and ensuing start of the civil war in 1983, forced India to correct its course slightly. While continuing the support to the insurgents, Mrs. Gandhi began to build diplomatic pressure on Jayewardene to make peace with the Tamils. The result was some half-hearted talks that didn’t reach anywhere. After Mrs. Gandhi’s assassination and arrival of Rajiv Gandhi to power, hope for a peace agreement was renewed. The new Prime Minister chose very different strategy than his mother. Gandhi believed that India should play role of an impartial mediator rather than taking sides in the conflict. Instead of antagonizing the Sri Lankans, India should try to maintain good relations with them to achieve its objective of keeping other countries out of the region. As a result Indian intelligence was instructed to tone down its support to the insurgent groups. There was also a new wrinkle in the Indian involvement. The intelligence had picked up some loose talk among the Tamil insurgents to create a greater Tamil nation, which would include India’s Tamil Nadu! To make matters worse, MGR was continuing to provide support to the insurgents, against Prime Minister’s intentions. Last thing India needed was to import Sri Lankan war to its on soil. By 1985, New Delhi had decided that it needed to shut down this war quickly rather than see it expand across the sea. It also wanted Tamils to get autonomy in Sri Lanka but not independence, for independence would mean a Tamil nation that might try to incite a Tamil insurgency in India. But Indian sense of urgency was not contagious. Neither Colombo nor the Tamil separatists were interested in coming to an agreement because both sides thought that they could win militarily. The Sri Lankan military was slowly getting better at fighting the insurgency. Moreover, in 1985 they had acquired a precious asset. An Indian intelligence officer, KV Unnikrishnan, had been seduced by a PanAm airhostess and turned by an unknown intelligence agency, most likely CIA. Being R&AW’s station chief in Madras, Unnikrishnan had access to classified information on Indian activities and thinking that he had been duly supplying to its handlers, who in turn were passing it along to the Sri Lankans. Given the presence of this perfect pipeline, Colombo saw itself in the position of advantage and reluctant to make peace. Unnikrishnan’s deception was discovered and arrested by Indians only in mid-1986. On Tamil side, the errant was LTTE, the largest Tamil insurgent group, led by one of the world’s most brutal terrorists named Velupillai Prabhakaran. In the last two years, LTTE had been growing rapidly, tapping into the Tamil expatriate network across the globe for funding. Prabhakaran too believed that he could win this war militarily and therefore had no interest in settling. To put pressure on the two sides, Gandhi started to increase the diplomatic heat on Colombo and ordered arrest and confiscation of LTTE resources in Tamil Nadu. Unfortunately, instead of subduing, India ended up alienating both sides. In the aftermath of the arrests, Prabhakaran moved his base from Madras back to Sri Lanka, and continued to grow more anti-Indian. On the other hand, Rajiv Gandhi’s softer approach compared to his mother led Jayewardene to believe that the new Indian Prime Minister was weak. From then on, the president was willing to take a more and more confrontational stand against India, expecting Rajiv Gandhi to back down at every turn. The stage was set for a showdown. This entry was posted in 1947-, India's Wars, Peacekeeping in Sri Lanka, Rajiv Gandhi and tagged dixit, indira gandhi, IPKF, jayewardene, LTTE, prabhakran, rajiv gandhi. Bookmark the permalink. Thanks Sandeep. Eagerly waiting for the 3rd part.